Let us Artissima Studio customize your private art party. Simply choose the date, select an artwork from our portfolio, and invite your friends. Our intimate studio environment creates a personalized and warm atmosphere for your party. 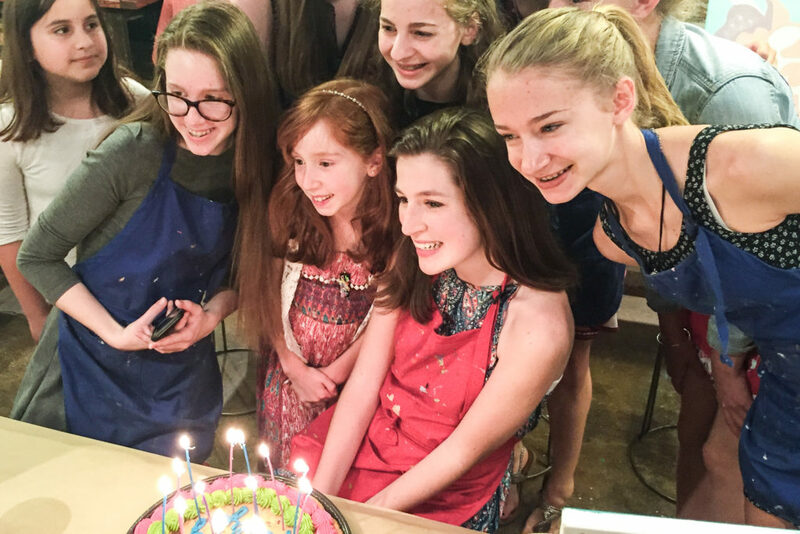 Artissima birthday parties are a blast, and birthday guests go away with a unique and fun piece of artwork to remember the special day. Birthday boys and girls can choose from our extensive art project portfolio or have Artissima customize an artwork for the party. Our welcoming facility provides a unique atmosphere for the event, and we take care of the mess. Artissima is the perfect creative venue for your next party. For Kids – Play Dates, Girl Scouts, Athletic Teams, etc. 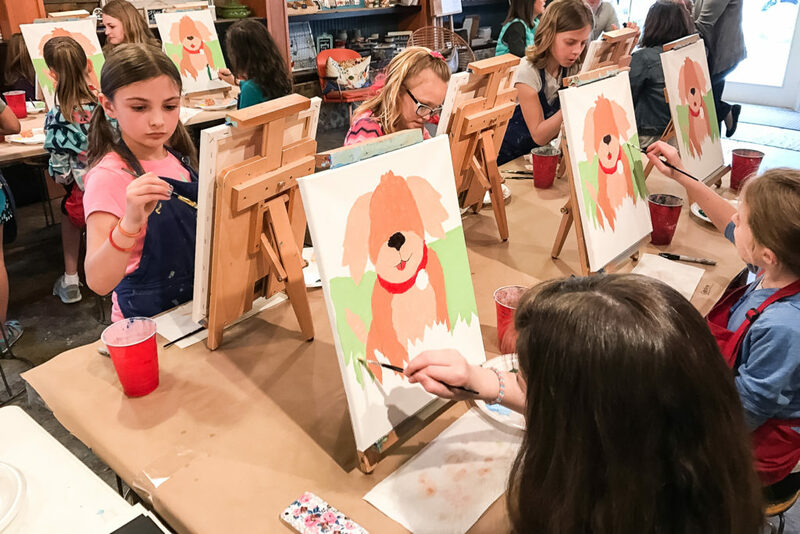 – we can customize a fun and lively art activity for your group. 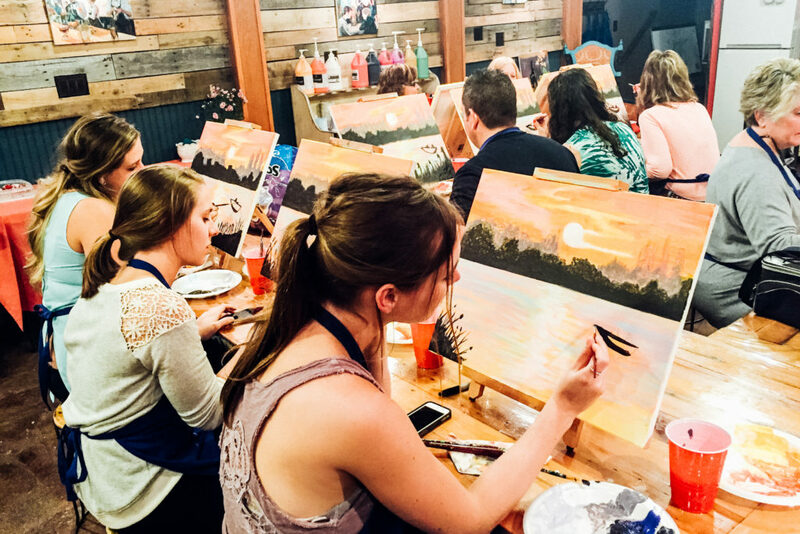 For Adults – Girls’ Night, Birthday Party, Shower, Bachelorette Party, Team Building Event – If you would like to host a gathering, we will create a custom art making experience for your group. BYOB. The Barn is a rustic chic space that makes a great venue for smaller special events such as showers, anniversaries, birthday parties, engagement parties and more. If you are interested in hosting your event in the Barn, please contact us for pricing and details.